I, for one, cannot wait for autumn to hit us properly. Give me all the layers, the deep rich colours, the thick black tights, the ankle boots, the oversize coats, scarves and hats. I am all for that. To start getting my autumn wardrobe in shape I’m hunting down the best transitional dresses on the high street. 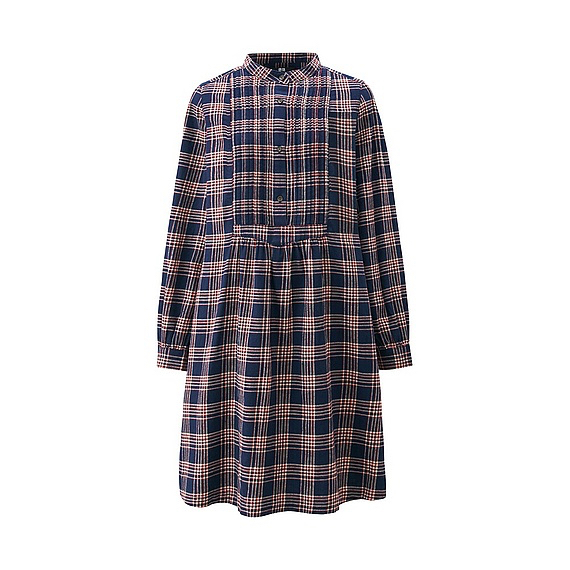 And this Flannel Dress from Uniqlo is just that. I love the round collar, the bib front, the loose fit and of course, the checks. Plus, you can never argue with Uniqlo prices, this dress is just £29.90. I’ll take it in navy and green please.